Google Cast launched: The widely using browser, google chrome updated. 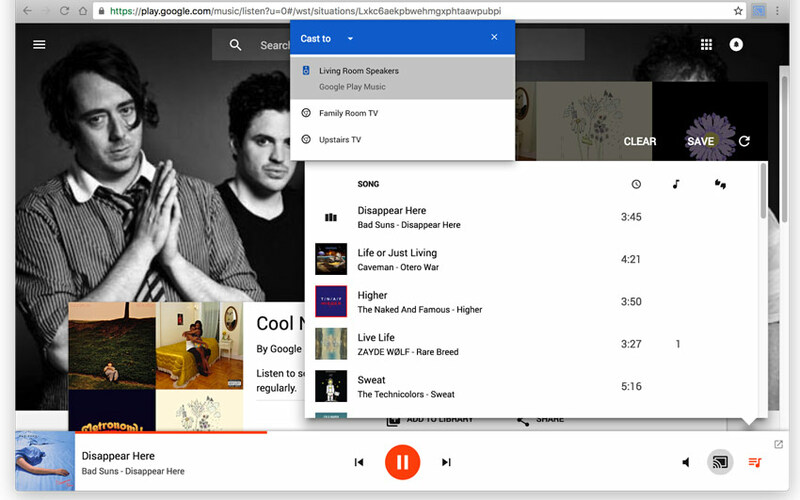 Early, the google launched the Google cast extension to share our desktop screen to Big screen like TV by using Chromecast device. Now, we don’t need any extension, installation, and configurations. Just by a single click, we can share our screen with our beloved friends and family. According to the report of Google chrome blog, the chrome casting is widely increasing around this world. In the last month survey, the people used the cast from the chrome as 38 million times and above. Also, more than 50 million hours of contents are watching and listening by using chrome. Also, now you can share the Hangout video chat via Google cast. Kindly update your chrome browser into Chrome 52 or higher to enable the cast option on chrome. It allows you share the browser tab and also the entire desktop. And the Cast for Education is also announced. So, in schools, the student and teachers can share their video wirelessly from anywhere in the classroom. So, the company introduced the Google cast to make their tasks as more easy. Early, the company launched Chromecast Audio device and the viewers’ rate increased due to the cast-enabled TV and speakers.